Over the years we've helped protect more than 1,400 acres that are now part of the Great Dismal Swamp National Wildlife Refuge located in northeastern North Carolina and southeastern Virginia. 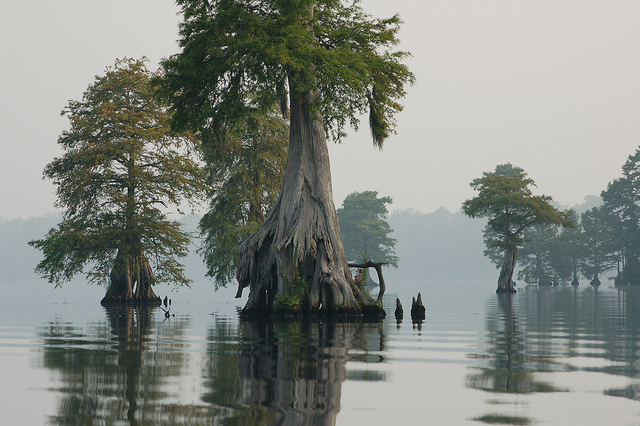 Scientists believe the Great Dismal Swamp was created when the continental shelf made its last big shift. Scientists believe that the refuge's Lake Drummond may have been created from the impact of a meteorite because of its oval shape. In 1763, George Washington visited the swamp and founded the Dismal Swamp Land Company. The area is home to a wide range of plant and animal species. Bald cypress, tupelo, maple, Atlantic white cypress, and pine are the predominant tree species. Many mammals, including black bear, bobcat, otter, and weasel, along with over 70 species of reptiles and amphibians and more than 200 bird species are found there.